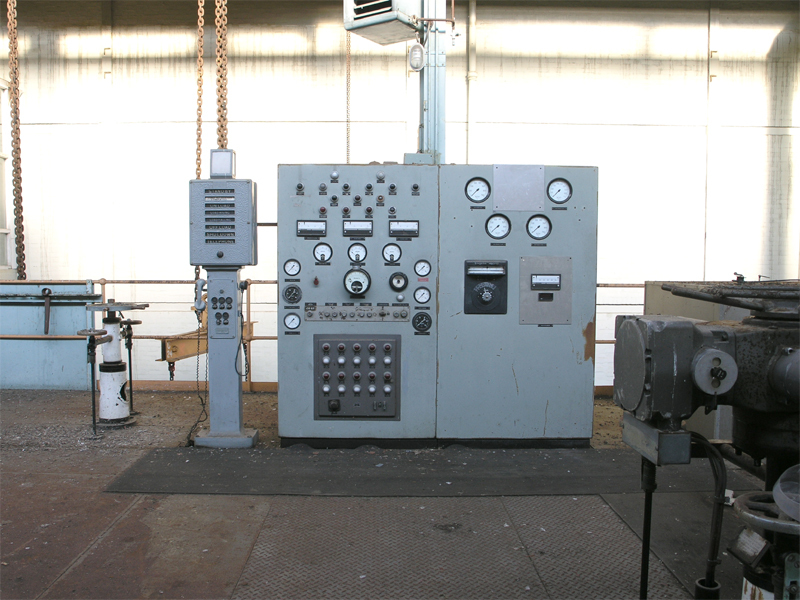 Located on the eastern side of the turbine hall is this ancient control panel. It’s given extra prominence by the wonderfully eccentric Ordasign indicator next to it; complete with top warning light and almost antique telephone handset. Control panel and indicator for the other generator.